My favourite cut of beef is the fillet and coincidentally, it’s the most expensive part. I do not buy it often, but for any special occasion it is definitely worth the expense! My family and I had quite a few special occasions this last couple of weeks that required some bubbly and a special meal! I made fillet quite a few times, but this recipe is my favourite way of preparing this cut. 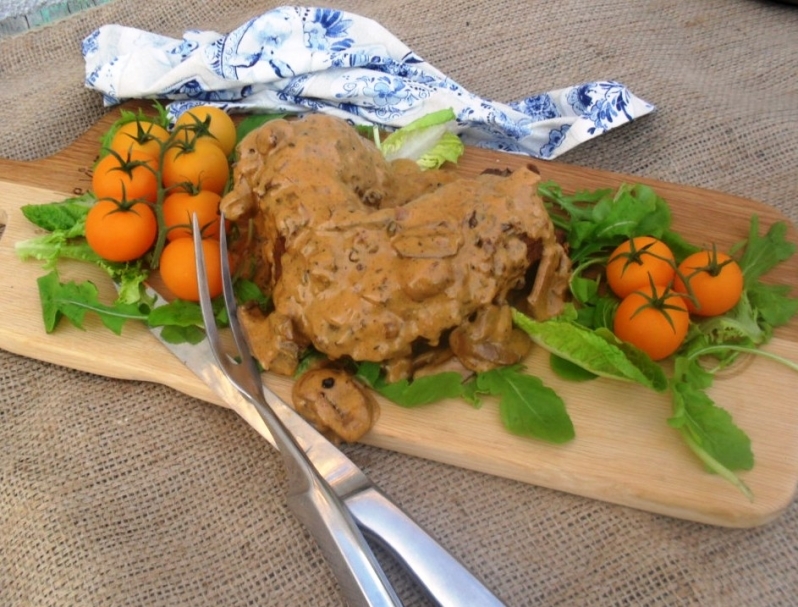 This beef fillet with red wine mushroom sauce is a perfect dish to be served on Father’s Day. 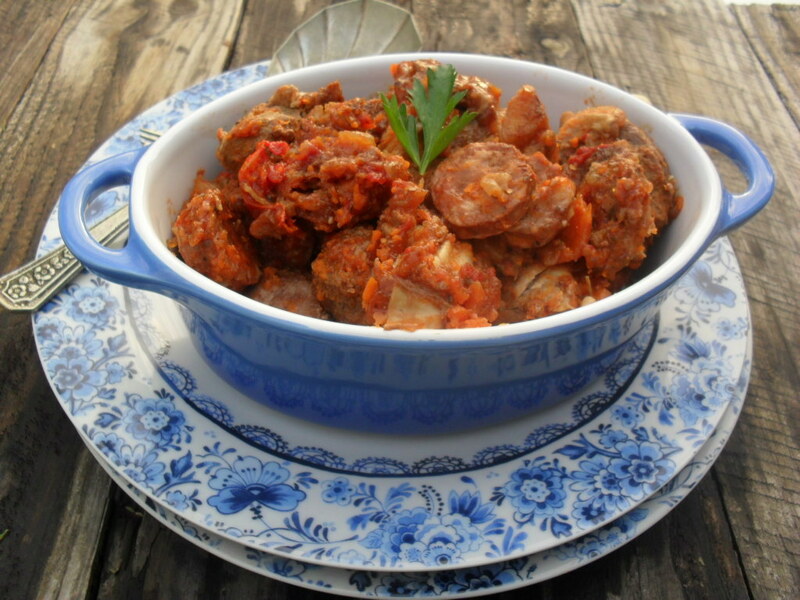 Men love meat and will love you for cooking this dish. The best part of the dish is that the oven is doing most of the work and you can relax with a glass of red wine, whilst the dish is cooking. I serve the fillet with old fashioned potatoes baked in their skin, but buttery mash, cous-cous, baby potatoes or cauliflower rice will make a great side dish. 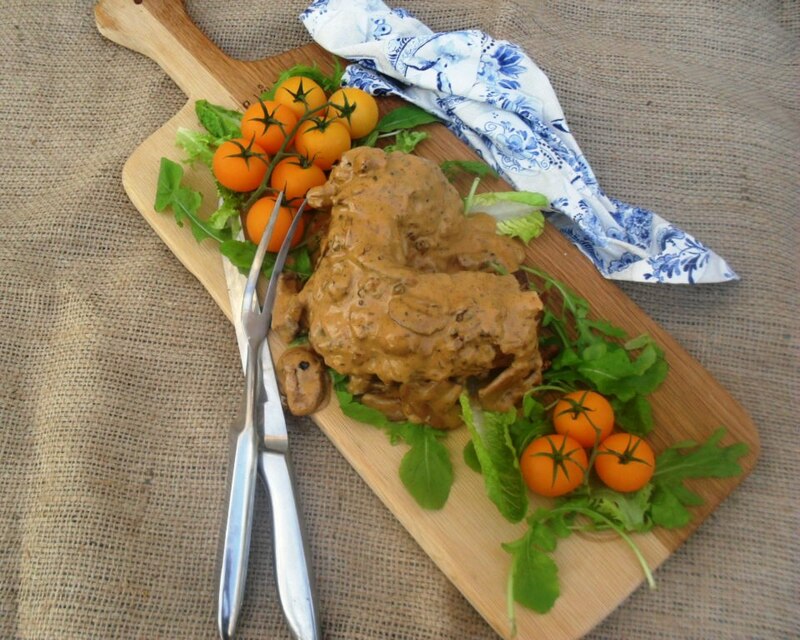 I hope you enjoy this dish as much as I normally do and that it will become a favourite in your household! 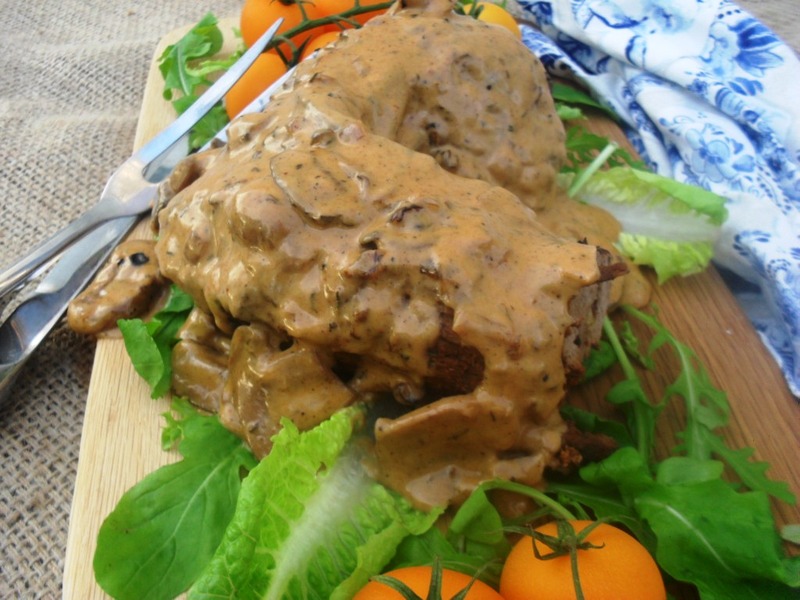 Mix the dry mustard powder and paprika together and rub onto the beef fillet. Season with salt and pepper. Heat the olive oil and butter in a heavy based pan and brown the meat on all sides. Remove the meat from the pan and place into an oven dish (a romertöph works very well). In the same pan fry the onions with the brown sugar on medium heat until the onions are caramelised. Add the garlic, thyme leaves and mushrooms and saute for 5 minutes. Remove from the heat and add the red wine. Season with salt and pepper and pour the sauce over the meat. Bake in the pre-heated oven for approximately 50 minutes or until the meat is cooked to your preference. Remove the meat from the baking dish. Cover loosely with foil and rest for 10 minutes. 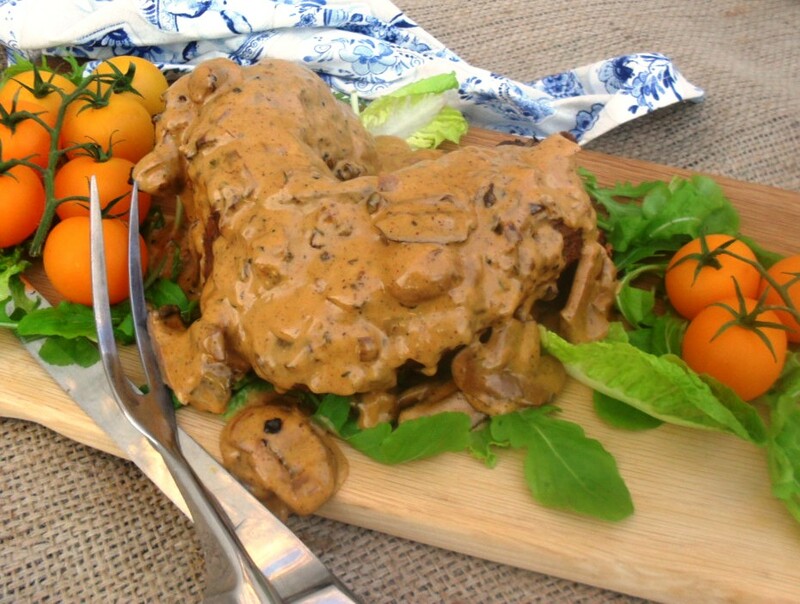 Serve the beef fillet with the sauce.